Gently Absorb Internal Toxins that Increase Acne. Kanwa feeds nutrients to mineral starved cells. The USDA claims we would have to eat 20 bowls of spinach to get the same amount of iron as one bowl eaten in the 1920's. 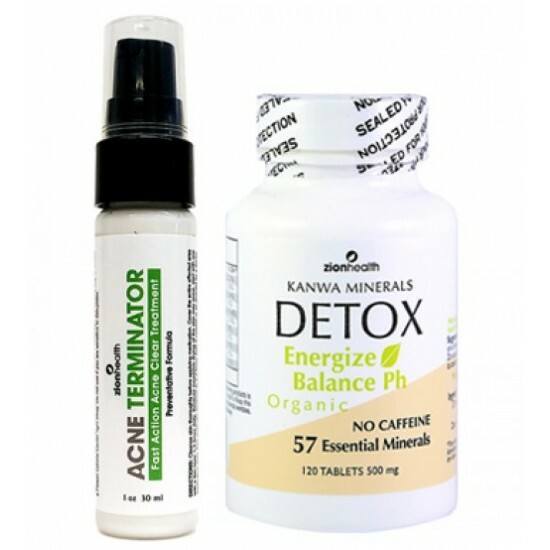 Kanwa helps energize the body with essential trace minerals and binds with toxic substance in the body gently eliminating impurities with the stool. Consume daily one tablet for every 50 pounds of weight on an empty stomach with a full 6 to 8 oz glass of water or herbal tea. Do not eat for 30 minutes following consumption. Dosage may be doubled if you are feeling a little run down. Once you are feeling complete health, you may reduce dosage to one tablet daily. For travelers illness, upset stomach, or diarrhea: Consume Immediately! Double the dosage and repeat every hour up to 4 hours. Always consult a physician if you are seriously ill.
Feel the powerful effect of Energy Minerals after continous use. Your body may be deprived of important trace minerals. You must give your body time to heal. This is not a quick caffeine fix. Be patient, and the results will come. In many cases the results are immediate. Other times noticeable improvements may take several weeks and months.